These days, “sailing into the sunset” is being redefined by retirees. With cruising, your castle is also your mode of transport. It’s fun, It’s scenic, It’s very economical and it’s romantic. Once upon a time Dinah Shore sang about seeing the USA in your Chevrolet. 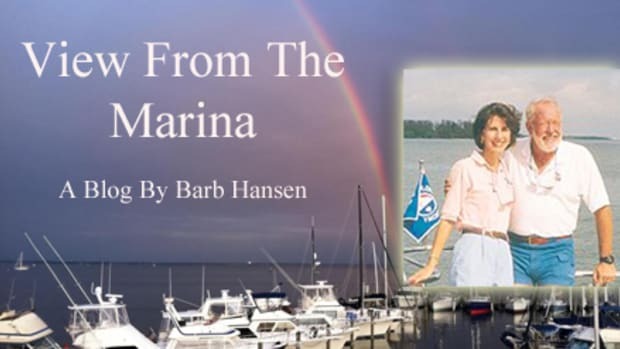 Today, she could be singing about seeing the USA in your cruising boat. Cruising is indeed a great way to see the USA without having to pull your wheeled vehicle into a gas station every few hours and into a motel off the interstate every night. When you’re cruising, you don’t have to pack and unpack every night, either. With cruising, your castle is also your mode of transport. It’s fun, It’s scenic, It’s very economical and it’s romantic. 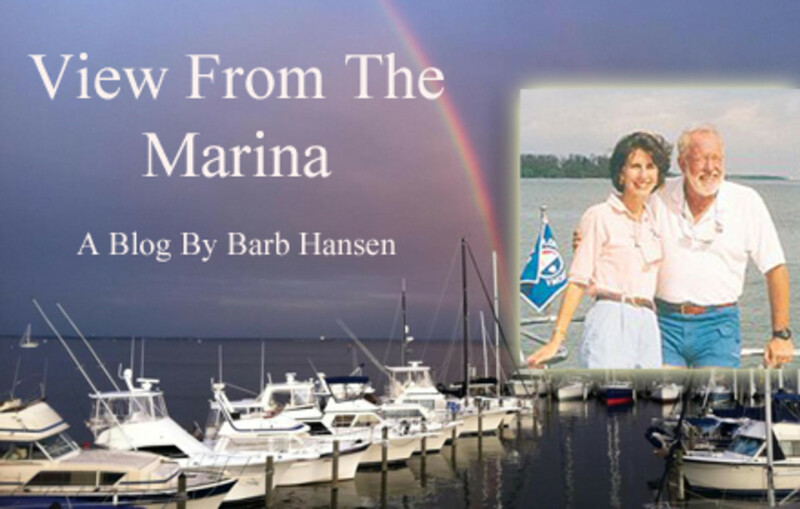 These days, “sailing into the sunset” is being redefined by retirees. Thanks to advances in medical science, we are living longer. Thanks to ibuprofen, we’re also functioning longer. Retirees, especially, are beneficiaries. With time and a bottle of friendly caplets on their side they can do things earlier generations of retirees could not. Instead of sitting in a rocker and watching re-runs of "The Golden Girls," retirees today are sitting in a catbird seat and self-directing their lives into new and exciting adventures. I know this because in my job as proprietor of a yacht school and chartering enterprise I have been privileged to talk to some of these adventurers and I am watching the first wave of boomers plan and take action for the best years of their lives. There comes a time when, as active as we have always been, we may have to think about giving up the tennis and snow skiing. It’s not a pleasant thought, I know. Sometimes we have to face reality and it’s not pretty. However, there is an activity that we can often do well into our Golden Years – Boating! Many people who attend our boating school are finishing up their careers and soon will have the time to do what they really want to do. Cruising is a big part of their retirement plan. More than once I have heard them talk about cruising the Great Loop. Sometimes called the Great Circle Route, this is the continuous waterway that takes cruisers up the Atlantic Seaboard, across the Great Lakes, down the Mississippi and along the Gulf of Mexico. These “loopers” even have their own association - the America&apos;s Great Loop Cruisers&apos; Association (AGLCA). Cruising the Great Loop seems somehow appropriate for our goal-setting culture. Buried in our careers we seek to build a nest egg and to provide for the future. Once security is in our sights, we look to fulfill another basic instinct – adventure. An ambitious plan like cruising the Great Circle Route does that. For some, the Great Loop is their cruising goal, the summit or pinnacle of their boating journey. Once it is accomplished, they hang up their Topsiders and turn to gardening. For others, the Loop is just one leg of a lifelong adventure afloat. Cruising is also a civilized way to fulfill the deep-seated desire we all have to return to the basics. I call this satisfying our “call of the wild” instinct. Instead of a closet full of clothes and shoes, we bring onboard a duffel bag’s worth of basics and boat shoes. Cruisers know that so long as their clothes suit the weather, their outfit is probably perfect for every occasion. After learning to cruise, many of our customers are ready to charter a boat or purchase one of their own. We even have a “floating retirement plan” for those who want to buy a boat 5-10 years before retiring so that they can pay for it and equip it while they are still working. When they are ready to sail off into the sunset, the boat is ready and waiting for them. So, if the “R” word is starting to creep into your daily lexicon, you may also want to start to research the “B” word now. After all, the phrase “Boating through Retirement” has a nice ring to it. There are a few other words that sound pretty good, too: Cruising, Relaxing, Exploring, Diving, Cooking, Fishing, Eating and more! All of those activities go with Boating. Now that sounds like a really nice way to spend those Golden Years.